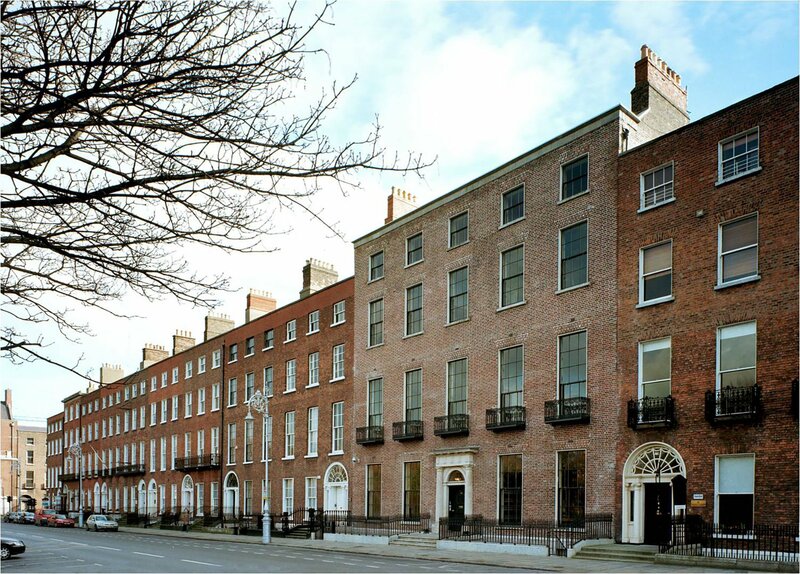 In 2001 Roger Coleman, grandson of the Thomas Coleman (1865-1950) who had entered partnership with George Coppinger Ashlin (1837-1921) in 1903 to create the architectural practice of Ashlin & Coleman, donated to the Irish Architectural Archive on behalf of the Coleman family a body of material relating to that practice. Among the drawings and documents was a portfolio containing a number of very refined sketches, immaculately mounted on gilt-edged pages, which showed evidence of having once been bound together in albums. On examination it transpired that the sketches were by one of the most significant and influential architects, designers and theorists of the nineteenth century, Augustus Welby Northmore Pugin (1812-1852). Pugin was called many things in his own life and after but Cardinal Newman’s simple summation – ‘a man of Genius’ – is perhaps at once the most succinct and the most apt. A designer of buildings, furniture, metalwork, jewellery, textiles, ceramics, wallpaper and books, Pugin was, more than anyone else, responsible for the adoption of the Gothic Revival style as the national style of Victorian Britain and so transformed completely architecture in Britain and Ireland. Perhaps best remembered now as one of the designers of the Palace of Westminster – his most iconic contribution to that project is the clock tower known as Big Ben – Pugin’s Irish buildings, including churches at Gorey, Tagoat and Barntown, Co. Wexford, the Cathedrals at Enniscorthy and Killarney, and the great seminary at Maynooth, are among his best. Pugin’s practice in Ireland was continued after his death by his son Edward Welby Pugin (1834-75) in partnership with George Ashlin. 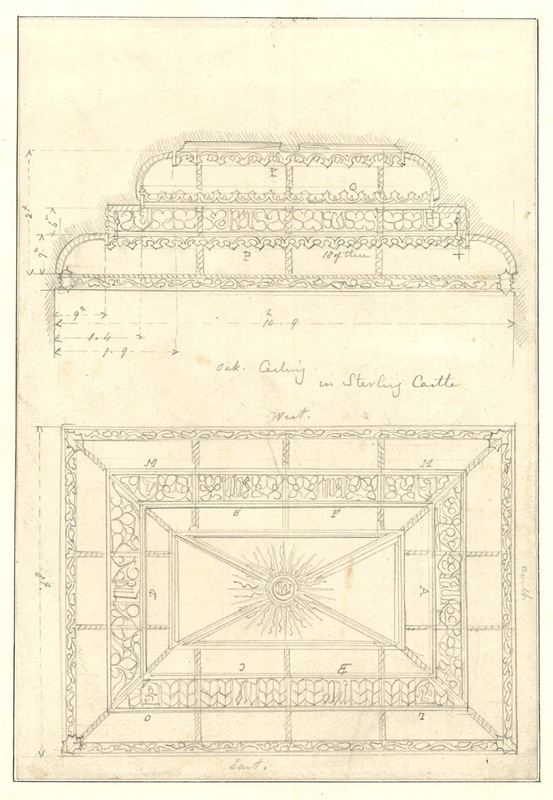 The Ashlin & Coleman Collection – the first architectural practice archive acquired by the fledgling Irish Architectural Archive in 1976 – contains drawings for more than two hundred churches, from Cobh Cathedral in the south to Newry Dominican Church in the north, almost every one an example of Puginian Gothic. Pugin travelled widely in Britain and Europe, and sketched constantly, recording buildings and their details. From the mid-1840s, he had selected sketches window-mounted on paper by a highly skilled paper conservator, and bound into leather-covered, monographed, albums. From references to them in his correspondence, it is clear that these albums, the exact number of which is not recorded, were a source of pride to Pugin. They were an expression of his life-long love of drawing and constituted a unique reference work on medieval art and architecture on which he relied for guidance and inspiration. In July 1870 the collection was broken up with individual albums distributed amongst Pugin’s widow and eight children from his three marriages, one of whom, Mary Pugin (1843-1933), was the wife of George Ashlin. 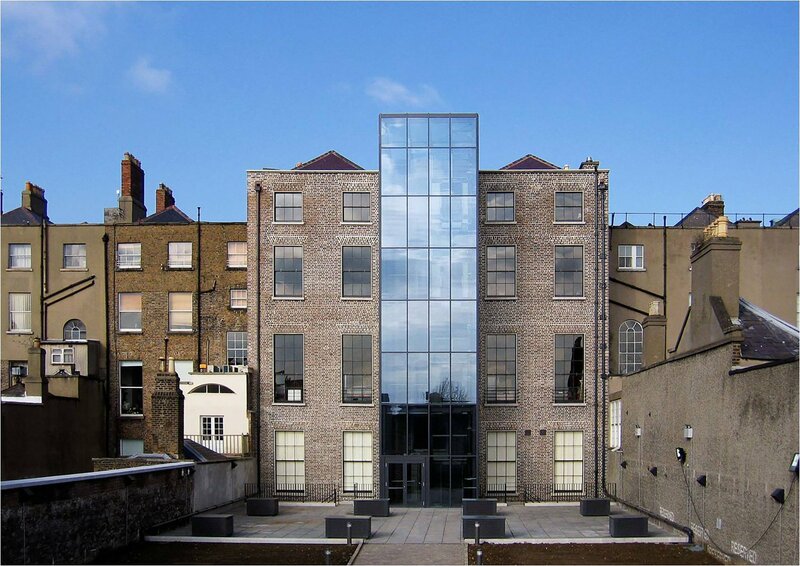 This is the source of the album pages now in the Irish Architectural Archive. Surviving albums are now to be found in the collections of the Royal Institute of British Architects, the Victoria and Albert Museum, the British Museum and the Metropolitan Museum of Art, New York. In January 2018 Roger Coleman brought to the Archive more material relating to Ashlin & Coleman. 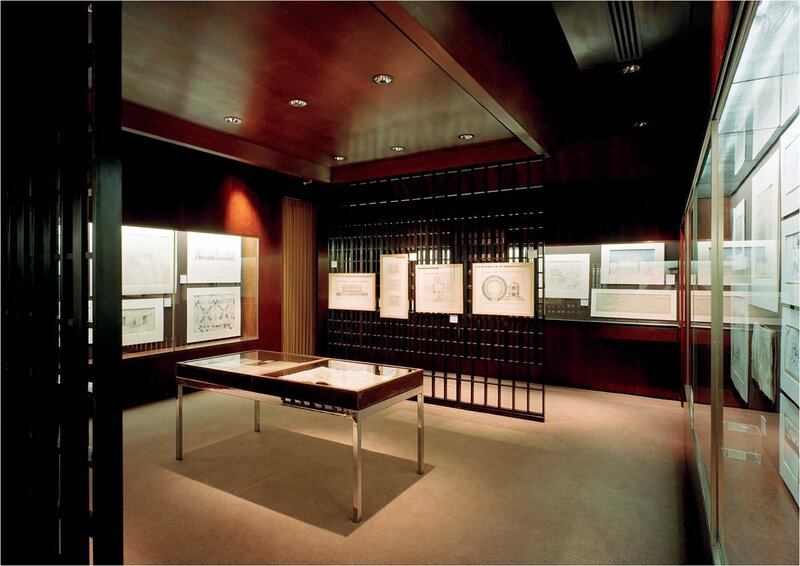 Among the drawings and photographs were thirteen sheets of mounted sketches, unmistakeably the work of A.W.N. Pugin. 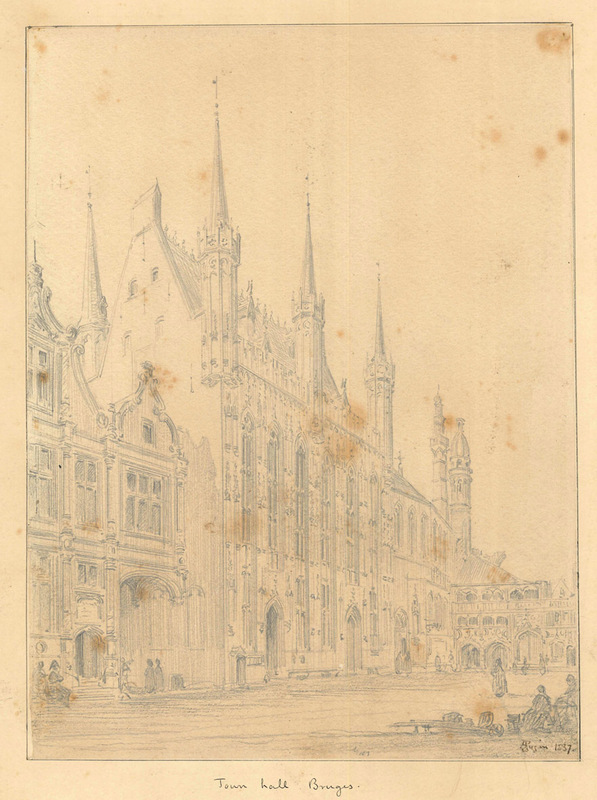 The majority of the pages received in 2001 were sketches executed by Pugin during his visit to Nuremberg in 1838. One page relating to Stirling Castle was also included. 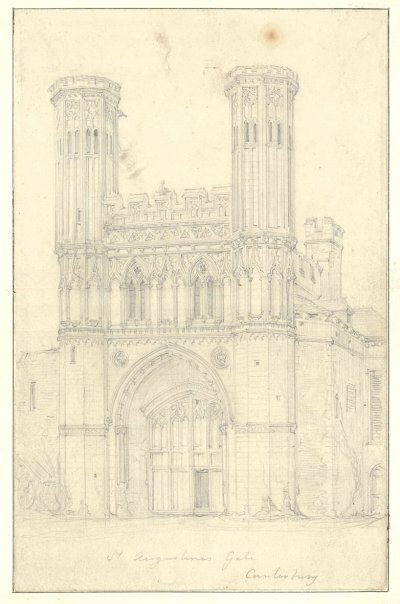 These drawings were first exhibited in the Archive in 2012 during the Pugin bicentenary year. 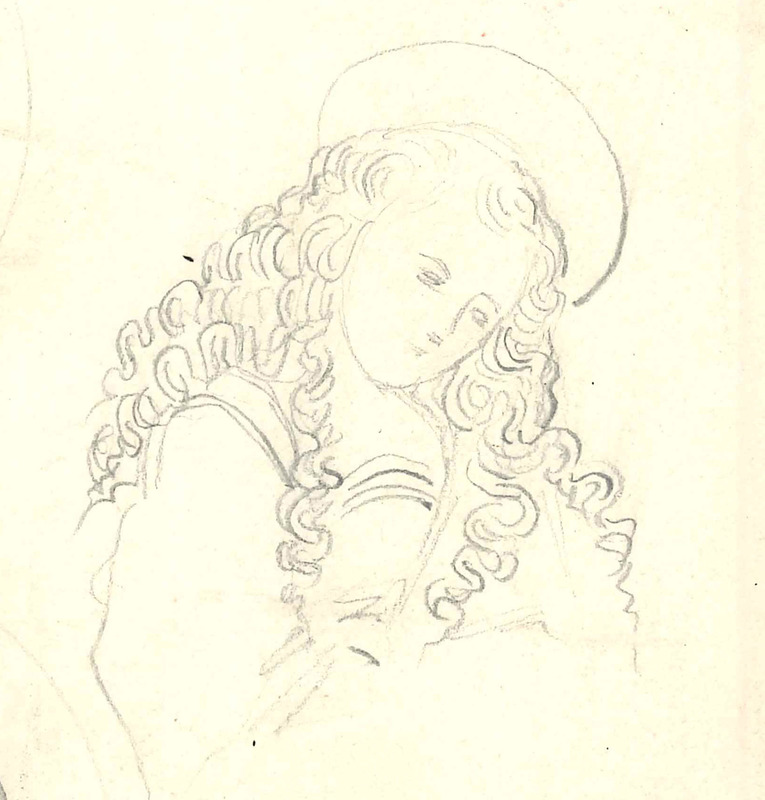 The drawings received in 2018 include several more pages relating to Stirling Castle, as well as drawings relating to Bruges and Oxford. These drawings are now exhibited in public for the first time. Also included in this exhibition, thanks to Jeanne Meldon, a great great granddaughter of Pugin, are three further sketches relating to Stirling Castle and also a picture frame designed by Pugin himself. The Irish Architectural Archive is grateful to Roger Coleman and the Coleman family for placing the Pugin drawings in its care. We are also grateful to Jeanne Meldon and the Meldon family for lending items for the exhibition, and to Liz D’Arcy for conserving the drawings and preparing them for exhibition.